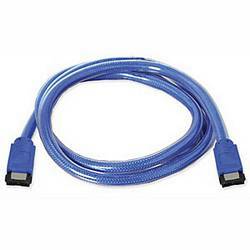 Use this eSATA cable to attach a SATA drive or enclosure to your PC via "I"-shaped eSATA ports. This cable is rated for 3Gbps. Pros: Shipping was fast, works great!